kiepe products are used for monitoring conveyor systems and bucket elevators for bulk goods. The product range was designed to meet the harsh conditions in the raw materials industry, for example in open ore mining and in the iron and steel industry. Wherever reliability, robustness and quality count, Kiepe™ products are the right choice. 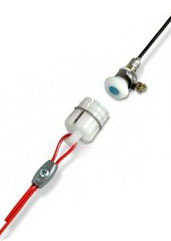 Kiepe pull rope emergency stop switches are emergency stop devices with latch function. They are operated by pulling or tearing the pull rope. Reset is carried out manually at the device. For safe pull rope installation, "Components for Pull Rope System" are required whose functions are tailored to Kiepe pull rope emergency stop switches and the respective applications. The safety data of the electromechanic switches have been specified according to DIN EN ISO 13849-1. You can find the information about safety data B10d and performance level (PL) at the product pages or in the brochures. 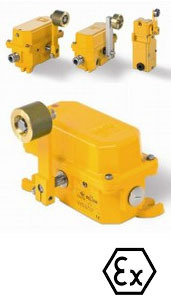 Devices, which are approved for use in hazardous areas with explosive atmosphere, can be found in the folder "EX Pull Rope Switches", except for underground mining applications. Conveyors may run out of line, causing major damage. For this reason, misalignment switches are provided to register belt misalignment and to switch off the belt if necessary. Kiepe Misalignment Switches are enabled by approaching and swinging out of the roller lever when a switching angle is reached. When the belt runs correctly once more, the misalignment switch will reset automatically. Depending on the type of switch, two switching points can be provided for warning (pre-alarm) and switch-off; furthermore, latching of the roller lever after enabling is possible. 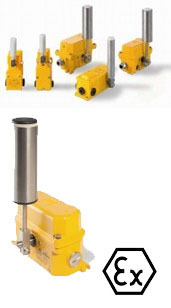 Devices, which are approved for use in hazardous areas with explosive atmosphere, can be found in the folder "EX Misalignment Switches", except for underground mining applications. 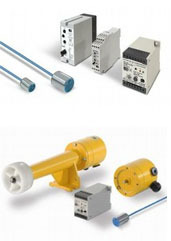 Kiepe Limit Switches are force-fit, electromechanic switches with positive breaking contacts in solid, robust design. They are available in various enclosure variants and with different actuating levers. 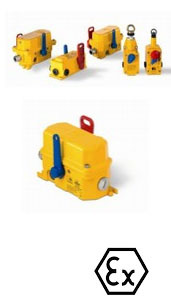 EX-Symbol Devices, which are approved for use in hazardous areas with explosive atmosphere, can be found in the folder "EX Limit Switches", except for underground mining applications. The conveyor belt speed is a significant process parameter for control and monitoring of conveyor belts. The range of Kiepe speed monitoring devices comprises units for electronic speed monitoring and speed monitors for direct coupling, as well as accessories in robust design. They are actuated by switching of contacts or transmission of electronic impulses when the actual speed is under or above the preset values. In conveyor systems with belt bucket elevators, material overflow or malfunctions may cause belt misalignment and major damage. 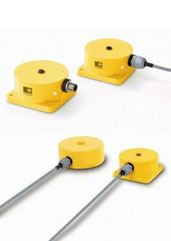 Kiepe bucket elevator monitoring devices are used to detect and switch off misaligned belt bucket elevators. Depending on the model, the inductive devices detect steel, stainless steel, or aluminum buckets at specified sensing distances. Conveyor belts are subject to wear. In large conveyor systems, impending belt damage is not always discovered in good time. Loose parts or torn belt edges may quickly result in serious damage to the system. The products of Kiepe belt wear monitoring comprise a separable switching element and a pull rope with the respective accessories. The pull rope is fastened at the system diagonally to the belt, connected with the separable jaw of the switching element, and tightened. When parts of the belt come loose or tear, the pull rope will be torn as well, and the switch will be actuated.